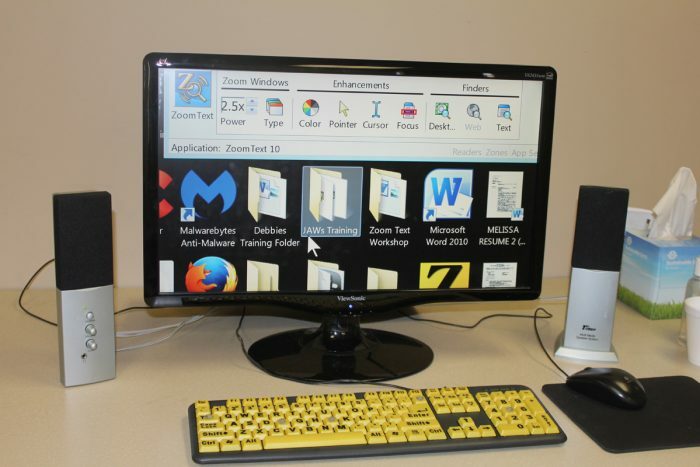 The purpose of the assistive technology program offered by the Dayle McIntosh Center (DMC) is to promote the use of equipment, software, devices and applications that enhance the functional capacity of people with disabilities. Assistive technology can be as large as a lift-equipped vehicle and as small as a “talking” watch key chain. For many people with disabilities, assistive technology is the gateway to independence. Jose Pena is the AT Coordinator at DMC. He is enthusiastic about his job, because he believes that the Dayle McIntosh Center is the only resource that some people have for getting the assistive equipment and technology they need. For more information about assistive technology or to donate durable medical equipment, call 714.621.3300 or complete the online form. Any Individual with a disability who lives in the Orange County area is eligible for services through the AT program. 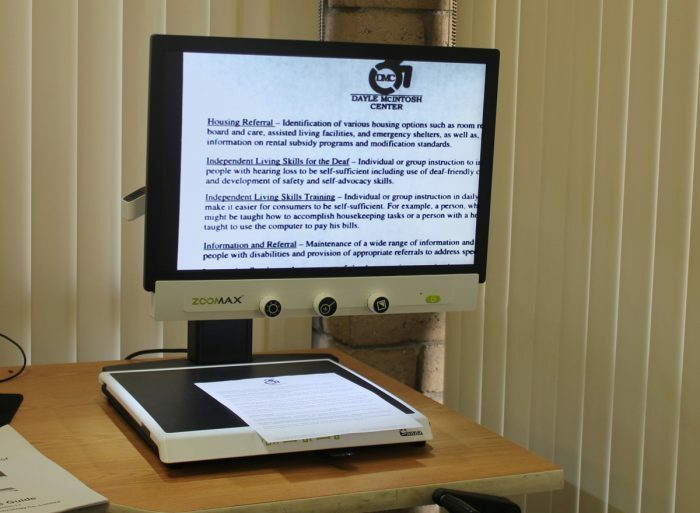 A formal referral process is not required for participation in the assistive technology program. Potential consumers learn about AT services at the Dayle McIntosh Center through other organizations, social media, outreach events, and healthcare providers. Usually individuals contact DMC to inquire about assistive technology and are referred to the AT coordinator. AT Information and Referral: DMC has compiled a special data-base of information related to assistive technology including descriptions of a wide array of products, pricing, manufacturers, distributors, and resources for obtaining financial aid to acquire AT. This information is shared with the public. If information and referral is the only service requested, a consumer intake is not conducted. AT Case Coordination: When comprehensive assistance is indicated, the AT coordinator works with each new consumer to complete intake forms and develop an individualized independent living plan. The purpose of the plan is to define the need(s) to be addressed, the goals to be accomplished, activities to be undertaken, and outcomes to be reached. Usually, services center on determining types of equipment and devices that are needed, identifying distributors of the items, arranging for consumers to test potential assistive technology, helping to find possible loans or grant to purchase AT, and providing training on the use of items after they have been purchased. AT Lab: DMC maintains assistive technology labs at both its Anaheim and Laguna Hills offices. The labs are equipped with an array of different types of AT, catalogs for investigating what is available, and accessible computer work stations with systems that have adaptive software installed on them. Training and demonstrations are provided by the AT coordinator on the use of equipment, devices, and software. The labs are open for consumers to use the computers for accessing the internet, sending and receiving email, working on resumes and job applications, etc. 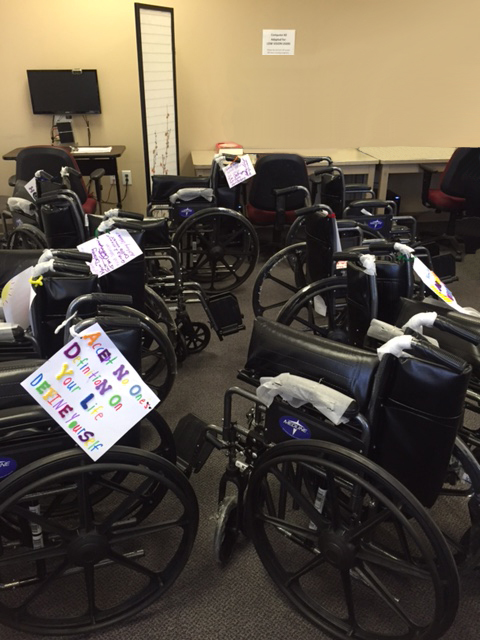 AT Recycle/Reuse Program: The center accepts donations of used durable medical equipment such as wheelchairs, and other assistive devices for redistribution to individuals, who can’t afford to purchase such items or who do not have coverage under their health insurance for AT. Donated equipment is cleaned, sanitized, and repaired before reissue. Services in the assistive technology program continue until goals in the consumer’s Independent Living Plan have been reached or until he or she is no longer interested in receiving assistance through the Dayle McIntosh Center. All participants are given an opportunity to complete a satisfaction survey to express their opinions of the effectiveness of the AT program.